Ultra Professional Carpet Cleaning, Curtain Cleaning, and Upholstery Cleaning Services throughout Oxfordshire and the surrounding areas. 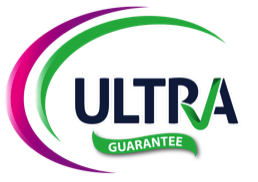 Professional Carpet Cleaning, Curtain Cleaning, Upholstery Cleaning that has your carpets spotlessly clean using our Ultra Carpet & Upholstery 14 step cleaning process. Ultra Carpet & Upholstery Cleaning offer a professional Carpet & Upholstery Cleaning Service using a hot water extraction system, commonly known as steam cleaning. Carpets that don't receive regular professional carpet cleaning can quickly be spoiled with traffic lanes, stains, discolouring and may need replacing. Every day could be doing your carpets damage if they have not received a professional clean. A professional carpet & upholstery clean removes all damaging air pollutants like pollen, fungi, chemicals, bacteria and other residues from your carpets which will help the fight against dust allergies and asthma keeping your family healthier and happier. A professional carpet & upholstery clean removes all unpleasant odours such as Cooking, Pets and Cigarette smoke and gives your home that fresh new smell. Extend the life of your carpets & upholstery by removing all the trapped fibre & damaging debris with a state of the art high pressure hot water extraction system, leaving your carpets fresh and clean deep down. 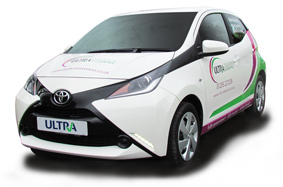 Our full time, vetted and insured carpet cleaning technicians are trained to clean your carpets and upholstery using our Ultra Carpet & Upholstery 14 step cleaning process. What else do we clean? Stain Gard Protector is a highly advanced formula designed for application to your Carpets & Upholstery. It works by locking onto fibres to create an invisible, durable shield providing superb resistance to oil and water based spills. This means stains caused by normal household spills can be easily removed by simple methods even when dried in. The action of Stain guard Protector also means that dirt particles do not adhere to fibres as easily, making cleaning easier and reducing fibre wear due to soil abrasion. Allergy Shield will eradicate and protect against further precreation of dust mites and the growth of fungal moulds and bacteria. Allergy Shield will also kill most other infestations including fleas, bed bugs, moths, cockroaches etc. Unsightly stains are an issue that no one wants to deal with. You should act fast when an accident occurs to avoid permanent damage. Our specialised stain removal system is able to take care of stains.We use steam cleaning products for carpets, rugs, and upholstery. We always aim to tackle and remove any type of mark from your carpets or upholstery. Our technician will assess the type of stain and assign the right liquid or chemical. The spot is treated and left for the detergent to work. Then we will give your carpets or upholstery a final rinse to remove all residual traces. Thus we ensure that the item is freshly clean. Every day oily residue from your kitchen, your family pets and you are carried in from outside and dries onto your carpets. This oily residue attracts and "locks-in" dirt like a super strong magnet. Through a process called oxidation, this oily dirt bonds with the carpet and changes the colour of your carpet. If left, unsightly traffic lanes will begin to show, and without a professional carpet clean, they can quickly become permanent! 2. Sandy Soil is Grinding Away at Your Carpet Enter description here. Get down and spread the fibres apart. You will be shocked to find a sandpit of soil that cannot be reached by home vacuum cleaners and is usually not visible, but is grinding your carpet away every time people walk over it like a sharp knife. 3. Your Carpets Could Be Making You Ill. Enter description here. Your carpet does a great job by acting as a filter, trapping damaging air pollutants like pollen, fungi, chemicals, bacteria, cigarette smoke tars and residues that you would otherwise be breathing in. However once the carpet gets "full" it no longer traps or holds these air pollutants and your family will breathe them in on a daily basis, causing both short term and long term damage. These trapped pollutants can only be removed with a professional carpet clean. 4. Bad News for Asthma, Allergy, Eczema and Rhinitis Sufferers. Enter description here. Carpets, upholstery and mattresses can become infested with dust mites whose droppings can trigger asthma attacks and can trap the allergy-inflaming proteins 'Der p 1', a protein known to trigger asthma, eczema and rhinitis attacks, and 'Fel d 1', a protein found in pet hair and saliva that can trigger allergic reactions. If you are concerned about any of these issues, have a look at our 14 step cleaning process to see how Ultra Carpet & Upholstery Cleaning can help solve these issues for you. Call 01235 227 238 or 01865 703 001 or contact us NOW for a free of charge no obligation quote. 1. What are those ugly black lines around the skirting boards and under doorways? These lines are called filtration soiling because it comes from air passing through the carpet as it is attempting to get through the gaps between the carpets, the skirting board and under closed doors. As the air passes through the edge of the carpet pile, this microscopic soiling is deposited there (hence the term filtration soiling). This occurs over a significant period of time and is not noticed until a build up has occurred. This type of soiling is difficult to remove because the soil particles are so fine that they penetrate deep into the carpet pile sometimes into the backing of the carpet. 2. Can they be removed? Enter description here. Sometimes with special products, time and effort, reasonable results can be achieved. To help prevent filtration soiling, vacuum and wipe the edges of the carpet on a regular basis. Be careful around the gripper on the edge of the carpeting, it could nick your fingers! 3. How often should I have my carpets cleaned? Enter description here. Cleaning frequency depends on usage and the amount of traffic that the area is exposed to. Most manufacturers recommend that carpets are professionally cleaned by a qualified carpet cleaning technician every 12-18 months. Heavy usage areas, such as family rooms with young children and pets, may need cleaning more often, but areas that are not used very often may be left for much longer. Carpets should be cleaned on a regular basis and before they become heavily soiled. Allowing soil to build up will significantly reduce the life of a carpet. Leaving you carpets in a soiled state for too long allows traffic to grind the dirt particles into the carpet fibres and cause permanent damage therefore shortening the carpets life; it may not then be possible to restore the appearance of the carpet. 4. Is it true that once you have had your carpets cleaned they get dirty quicker? Enter description here. This was true many years ago when carpet cleaning with shampoo was the normal way and home owners tackled their carpets themselves. Chemicals and carpet cleaning machines are a lot more advanced these days. Ultra Carpet & Upholstery Cleaning Services use a sophisticated and advanced carpet cleaning machine and method therefore re soiling is not a problem. 5. The areas in front of my settee are particularly bad; can you get it all out? Enter description here. The dirt can be removed but the continual foot movement from all the people who use the furniture will usually have damaged the carpet fibres. This abrasion will cause a difference in light reflection, giving the appearance of light soiling. 6. Will all the stains come out? Enter description here. No guarantee can be made that any particular stain will be removed. Some stains permanently damage the carpet fibres and no amount of specialist cleaning will reverse this. Our technician has received advanced training for spot and stain removal and will be able to deal with most problems. If you do have a stain you are concerned about, discuss it with our technician beforehand and our technician will be happy to advise. 7. Do you use chemicals to clean? Enter description here. Every cleaning system uses some form of a chemical. Water is a chemical and forms the basis of most cleaning solutions. Ultra Carpet & Upholstery Cleaning Services will be using safe chemicals and will rinse the carpets & furnishings to ensure no chemical residue remain within the fibres. Ultra Carpet & Upholstery Cleaning Services always finishes with a pH balancing and fresh water rinse. 8. Will my carpets shrink? Enter description here. If your carpets are properly installed, it is very rare that the cleaning process will cause it to shrink. Our technician will carry out a full inspection prior to any cleaning for potential problems such as shrinkage. 9. We have an asthmatic family. Should we pull up all our carpets? Enter description here. A well maintained carpet will act as a filter for your indoor air. Regular vacuuming with a good quality vacuum cleaner with a HEPA filter will keep dust levels down, and regular professional cleaning will keep the carpet in its optimal state. People with allergies or asthma are often allergic to dust mite waste products (it's not the dust mite themselves that cause the reaction). Dust mites live wherever humans live. They only cause problems when their numbers are allowed to build up, but regular cleaning and maintenance will prevent this. Often, when there is a problem, the carpet gets the blame, but don't forget to make sure that the bedding (pillows, blankets and mattress) is also regularly cleaned, vacuumed and aired! After all, we spend a third of our lives in bed, and this is where the dust mites really thrive! 10. How soon can we replace the furniture? Enter description here. Any furniture that has been removed from the room by our expert will be replaced after the cleaning. All furniture that has exposed timber or metal touching the carpet while the carpet is still damp may react with the moisture and cause a stain. That stain may be impossible to remove (timber stains especially). We place plastic tabs or foam blocks where necessary to protect your carpets from this type of staining. 11. How long will my carpets take to dry? Enter description here. Drying times for carpets and upholstery vary greatly due to factors such as the relative humidity within the environment, amount of ventilation introduced, the degree of soiling contained within the carpet or fabric as well as the moisture retention of the carpet fibres. However, in most normal cases, carpets and soft furnishings should be dry to touch within 6-8 hours and no more than 24 hours under the worst conditions. 12. How long before we can walk on the carpets? Enter description here. It is possible to walk on the carpet immediately after cleaning, provided your shoes/feet are perfectly clean. But any dirt that is walked onto the carpet while it is damp will stick and re soil the carpet. There is also the risk of slipping, especially when walking onto hard floors from the damp carpet. For these reasons, we strongly recommend that you stay off your carpets until they are touch-dry. Carpet is a complicated surface that becomes soiled and stained by many different substances from food and pet hair to dirt carried in from outside. To get your carpet really clean we carefully analyse and treat each individual stain and use a hot water extraction carpet & upholstery cleaning system to ensure a deep down clean is achieved. Over the years we have been perfecting a multi-step process to give your carpets the deepest, most thorough and long lasting clean possible. We will inspect your carpet for the fibre type, construction, dye techniques, backing, installation, cushion, heavy areas of soiling or staining & excessive wear and tear. Step 2 - Move Furniture Enter description here. If you request us to do so, we will move the following items of furniture: sofas and lounge suites, tables and chairs, beds on wheels and light furniture that one technician could be expected to move. Furniture that we don't move: bookcases, fishtanks, waterbeds, china cabinets, computers and delicate or fragile items. If you require these to be moved you must ensure they are emptied completely. Step 3 - Edge and Crevice Pre-Vacuuming Enter description here. Removes years of built up dust, grime and soils. dirt, grit and pet hair trapped in inaccessible areas, such as tight crevices and carpet edges, are removed using our edge and crevice tools. Areas that a standard home vacuum cleaner just cannot reach. Step 4 - High-Powered Vacuuming Enter description here. 5 times more powerful than a standard home vacuum cleaner! Our technician will use a specialised high-power vacuum cleaner called a Pilelifter. It pulls carpet fibres into a tight, upright position, while its brushes release trapped dirt and debris from the very base of your carpet. Step 5 - Pre-Spot Stain Removal Enter description here. Avoids permanent staining, discolouring and fabric fade. Incorrect stain removal techniques can permanently "fuse" stains to your carpets and fabric. Our technician will carefully test each stain before treating it using our sapro stain remover. Our attention to detail avoids permanent staining, discolouring and fabric fading. Step 6 - Pre-Spray Enter description here. Step 7 - Agitate Enter description here. Our technician will gently work the cleaning solution into the carpet fibres ensuring as much of the dirt possible is released in order to be removed. At the same time, any remaining soil and dust is transferred to the cleaning solution. Step 8 - Rinse Extract Enter description here. Our technician will rinse the floor area with a powerful hot water extraction machine. This works by first injecting an anti-bacterial deodoriser into the carpet at high pressure. This dislodges any remaining soil from the base of the carpet while killing any germs that reside on the fibres.Our high powered twin vacuum motors also extract the dirty solution into the waste tank leaving your carpets as dry as possible. Step 9 - Post Spot Enter description here. Our technician will inspect your carpet for any residual spots or stains. Any spots or stains will get extra treatment with our many specialty spotting solutions. Step 10 - Supreme Finish Enter description here. Our technician will apply a fine mist of our specially formulated Supreme Finish- A unique blend of alkali neutralising salts with bacterial and fungicide to brighten the colour of your carpet and restore a balanced pH by neutralising alkaline detergents. This leaves your carpet with no sticky residue. It also leaves your carpets feeling soft and smelling fresh. Step 11 - Stain Protection (optional) Enter description here. After the carpet has been cleaned and the surface of the fibre prepared, we can move on to apply Stain protector. This coats each carpet fibre to inhibit soiling and staining. It allows you to simply clean up any small spillages as it prevents the carpet fibres absorbing oil and water based stains. Step 12 - Groom Enter description here. Our technician will rake your carpet fibres back into line using a process called Pile Alignment. As well as ensuring the best visual finish. Pile Alignment also aids drying time. Step 13 - Replace Furniture Enter description here. Our technician will replace all furniture using plastic or polystyrene tabs under exposed timber or metal to avoid staining whilst the carpet is still wet as these stains may be impossible to remove afterwards. Step 14 - Post Cleaning Inspection Enter description here. Our technician will walk through and inspect cleaning results. If you are available he will ensure you are delighted with the service. Whilst every effort is made to remove all dirt and stains from fabrics and carpets, however it is not always possible due to unknown or pre-treated stains and therefore Ultra Carpet & Upholstery Cleaning Services cannot be held responsible. Wear, Sun damage or dis-coloring of fabric becoming more visible once dirt has been removed. Existing damage or spillage that cannot be cleaned/removed completely by the technician using standard carpet cleaning materials. Triggering any alarm systems. Customers should provide instructions for deactivation/activation of any alarm systems.